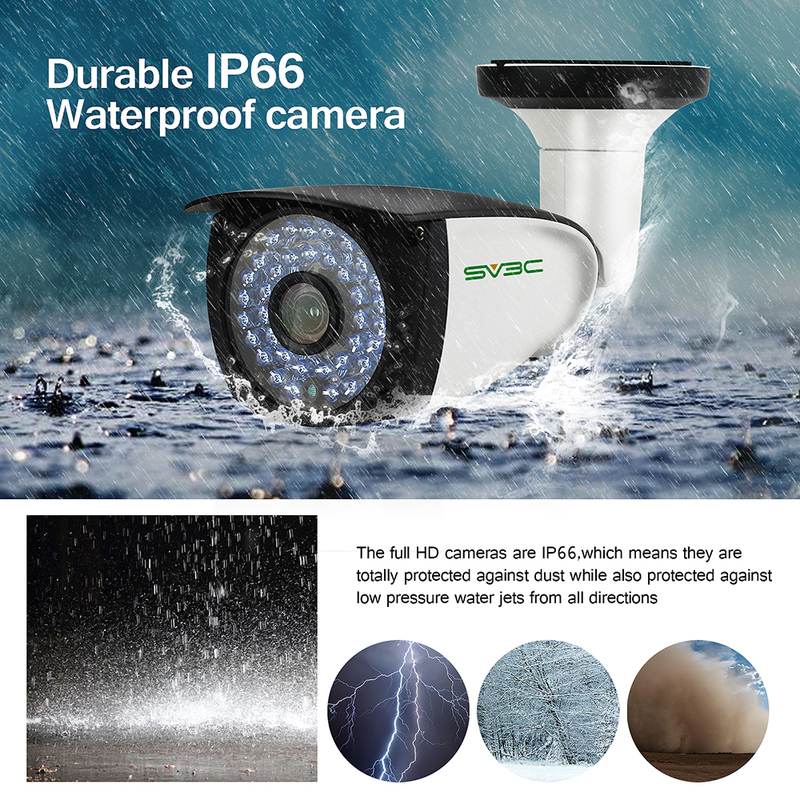 1080P HD NIGHT VIDEO With H.265: 1080P HD and High FPS offers you Seamless Stream Night Video without Freezes with 4MM fixed lens offering night vision distance up to 20meters. H.265 Video Compression with efficient video recording to Save Storage Space and offer more Smoothly video the same time. POE IP CAMERA: Single cat5 cable for both Power and Data transmission, no need power adapter, optional PoE switch or injector, easy setup with plug and play. Or installing a wired camera by Packaged with Power adapter as another choice. And Ethernet connection of camera will be stabler than Wifi Connection. SMART MOTION DETECTION ALARM: Motion Detection Alarm via phone app and Motion Detection Video Stored to NVR. If there are no NVR, just opening Cloud Service to store videos and pictures. Don't worry about storage problems ! This poe camera has much more reliable motion deteciton function! USER FRIENDLY SOFTWARE & ONVIF COMPATIBLE: Just Download "Danale" APP On Phone. And PC client "UC", for which you can access all the camera settings there, don't need to look for other web browsers etc. Onvif Compatible supports most of the 3rd party software such as Blue Iris, spy, Zoneminder, Security Spy, and VLC. 7/24H CUSTOMER SERVICE AND 1 YEAR WARRANTLY: If you have any problems, please just contact us by your Order or Sending Email to sp01@sv3c.com. We provide Life time Tech support and 1 year warrantly!